Most people are satisfied driving a sedan or a mini van made by Honda or Toyota. But for some, this is not enough. They need something bigger, faster, sleeker, and, above all, more expensive. This article will highlight some of the most expensive cars and limousines currently on the market. 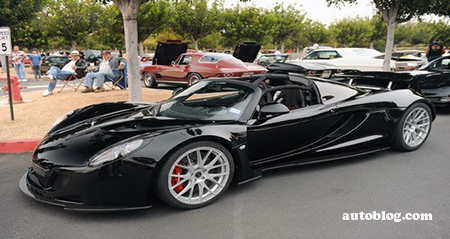 The Hennessey Venom GT Spyder is a sleek car with a carbon fiber body and wheels. It can go from 0 to 186 miles per hour in just under fourteen seconds, achieving a Guinness world record for this engineering feat upon its release in 2010. The car costs an incredible 1.1 million dollars. While this may seem pricey now, it is nothing compared to some of the other cars you are about to see. 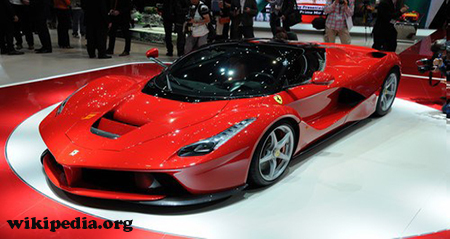 The Ferrari LaFerrari is a beautiful hybrid supercar that screams wealth, complete with doors that open upwards. It was released as a limited edition car in 2013, and only 499 units were built. Each LaFerrari cost 1.7 million dollars. Needless to say, only the richest drivers and collectors were able to afford one. The Eagle Mk1 is a one of a kind American Formula One race car, equipped with a V12 powered engine. The car was driven by Dan Gurney in the 1967 Belgian Grand Prix. He won the championship that year, and the car was never driven again. The Eagle Mk1 recently sold for 3.74 million dollars, an incredible price. The Koenigsegg One:1 was presented for the first time recently, in March of 2014 at the Geneva Motor Show. Koenigsegg claimed that the car is the world’s first megacar, an upgrade from the supercars that currently exist. The Koenigsegg One:1 is priced at 2 million dollars. The Aston Martin One-77 is a car made by the British car mogul Aston Martin. The 2 door coupé is long and smooth, without the same sharp corners that cover many supercars today. The car was a limited edition release. Only 77 of them were made, hence the 77 in the name. Each of them sold for an amazing 2 million dollars. 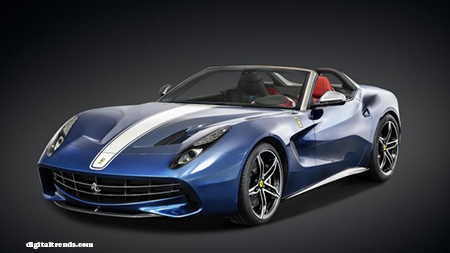 The Ferrari F60 America is a supercar made by Ferrari to celebrate Ferrari’s 60th year in America, leading to the 60 America in the name. The car is able to accelerate from 0 to 60 miles per hour in just over 3 seconds. Only 10 units of the F60 America were made, and each sold for 3.2 million dollars. The rounded Bugatti Veyron holds the Guinness World Record for the fastest street legal car in the world. It can get up to 268 miles per hours using the two V8 engines that power it, but the fuel tank is only big enough to maintain this incredibly speed for 12 minutes. 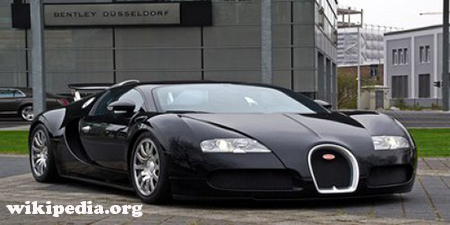 The Veyron was developed by Volkswagen and manufactured by Bugatti Automobiles S.A.S. The car costs 2.45 million dollars, a reasonable price considering only 30 units of the car will be made. 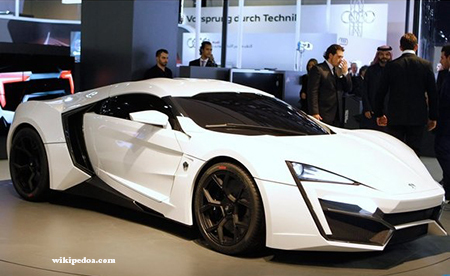 The Lykan Hypersport is made by a Lebanese company founded in 2012. The car is an amazing example of automobile engineering with a futuristic look, powered by a twin turbo flat six engine. In 2.7 seconds, the Hypersport can get up to 60 miles per hour. The sports car costs 3.4 million dollars, making it the third most expensive car to ever be made. 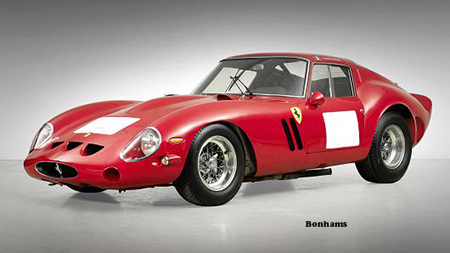 The Ferrari 250 GTO is the most expensive car to ever be sold at an auction, and is far more expensive than any other car on this list. The red car has a classic sports look, and sold for 34.65 million dollars in August of 2014. 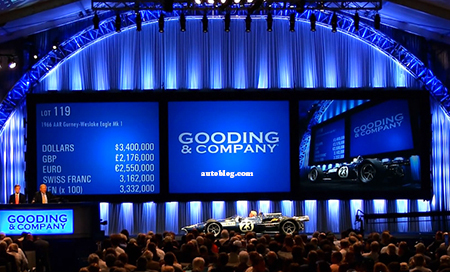 This broke the record for most expensive car sold at an auction by over 3 million dollars.